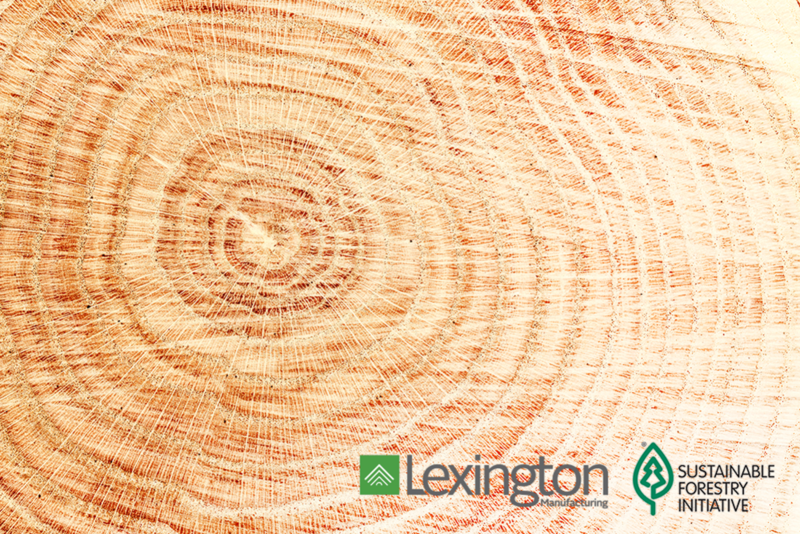 At Lexington, we are committed to sourcing materials from suppliers applying sustainable forestry practices and sourcing legal and responsible wood fiber to manufacture our products. We are certified by both the Sustainable Forestry Initiative (SFI) and the Forest Stewardship Council (FSC), which allows us to maintain the supply needed to satisfy our clients’ needs, while supporting sustainable, science-based forest management. We are proud to be a part of these organizations that are committed to sound forest practices, and bettering the environment. In fact, SFI recently released its annual conservation grants with collaboration from 45 groups in the U.S. and Canada. SFI’s annual grants continue to reach more organizations and cover a variety of conservation issues. Areas studied by the SFI grants include various natural resource sustainability issues—water quality and quantity in forests, enhanced biodiversity, carbon storage, and climate resilience. The goal is to build understanding of conservation practices in managed forests that will benefit both conservationists and consumers. Lexington also hosted a recent webinar, “Sourcing Certified Wood in the 21st Century,” to assist others in the industry to identify changes in sourcing wood materials in North America, as well as the trend toward recognizing more forest resources available under SFI as a certifying agency.